I’m not particularly fond of beans. 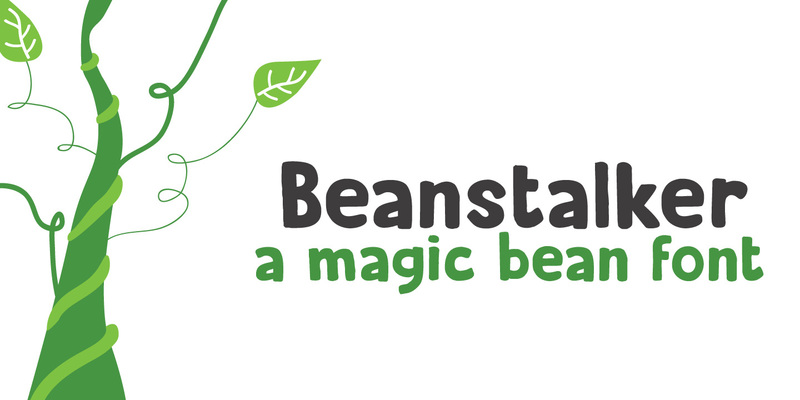 I do eat them, but they’re not my idea of a delicacy… But this font has a ‘fairy tale’ feeling to it, and I liked the name Beanstalker. Beanstalker is a hand made font (I used a fineliner to draw the glyphs). It is quite neat and organised, but does come with some rough edges and a bit of texture.